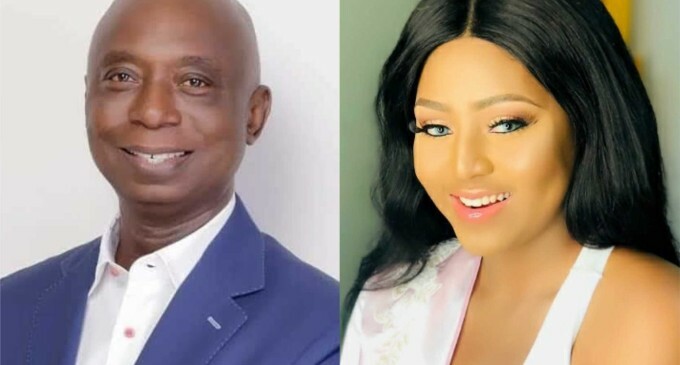 Delta state politician and ex- member of House Of Representatives has married Actress Regina Daniels as his 4th wife. TNIN has just been told. We congratulate our good friend for this beautiful and epochal event. May God bless their marriage and may busy bodies leave them alone. Your donation will support TNIN’s investigative journalism, citizens journalism, groundbreaking reporting, and unbiased policy analysis on today’s most critical issues. Contact and Support Us or Click on the DONATE button.